Government • Millcreek and Magna plunge into new forms of local governance. 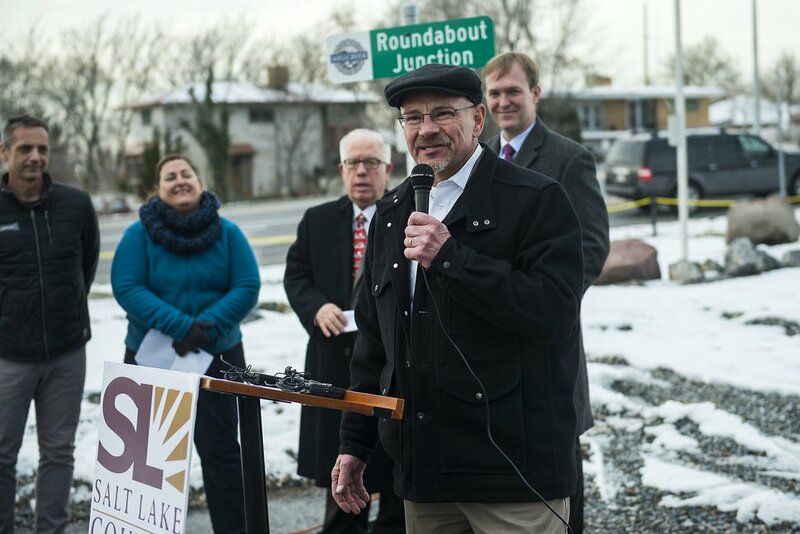 Chris Detrick | The Salt Lake Tribune Jeff Silvestrini speaks near the new roundabout at 2765 S. 2300 East Tuesday December 20, 2016. The new year begins a new era in local government in Salt Lake County. Millcreek is now a city, officially having come into existence Dec. 28 as the county's 17th municipality. Its inaugural city leaders will be sworn into office Tuesday. A similar ceremony is set that evening in Magna, one of five smaller "metro townships" created to increase local control within the disparate communities spread out across what has been known as the unincorporated county. Outside of Salt Lake City and small older cities such as Murray, most of the valley was part of the unincorporated county when suburban sprawl took off after World War II and farmers' fields were converted, haphazardly or with varying degrees of order, into neighborhoods and commercial districts. That growth triggered bitter border wars as existing cities expanded to capture newly developing tax revenues, and new cities were formed by residents eager to keep their tax dollars close to home. After years of midnight annexations and other disputes, county Mayor Ben McAdams secured legislative support for the "Community Preservation Act," which comes to fruition with the dawn of 2017. "I'm proud that we were able to pass legislation and organize an election that gave our [unincorporated] residents the chance to grow and develop based on their vision for their communities," he said, noting that Millcreek and the metro townships now "have secure boundaries and a role in budget decisions for municipal services." Exactly how those roles play out remains to be seen. 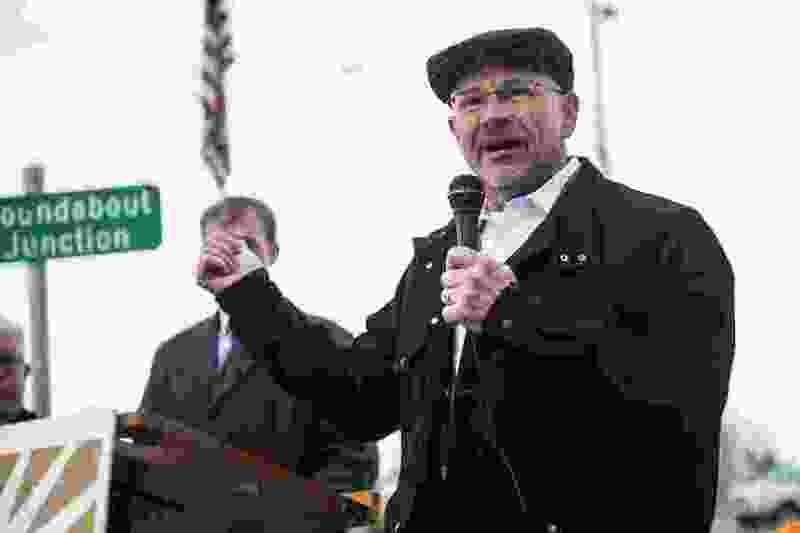 That's because a key part involves the provision of those services — primarily public works activities like snowplowing, business licensing and planning and zoning, but not police or fire protection — by a municipal services district governed by representatives from Millcreek, the metro townships and the County Council. But even as it comes into existence this district's structure is uncertain, largely due to the prospect that Millcreek City will leave by July 1 and negotiate its own contracts. There's a good chance the new city will contract with the municipal services district for most of those services, but Millcreek officials believe this outside-the-district arrangement will allow them to seek better deals from surrounding cities or to deliver their own services in-house. Millcreek Mayor Jeff Silvestrini and the City Council (Silvia Catten, Dwight Marchant, Bev Uipi and Cheri Jackson) have met regularly since late November to get the foundations in place to have the city up and running at the start of business Tuesday. 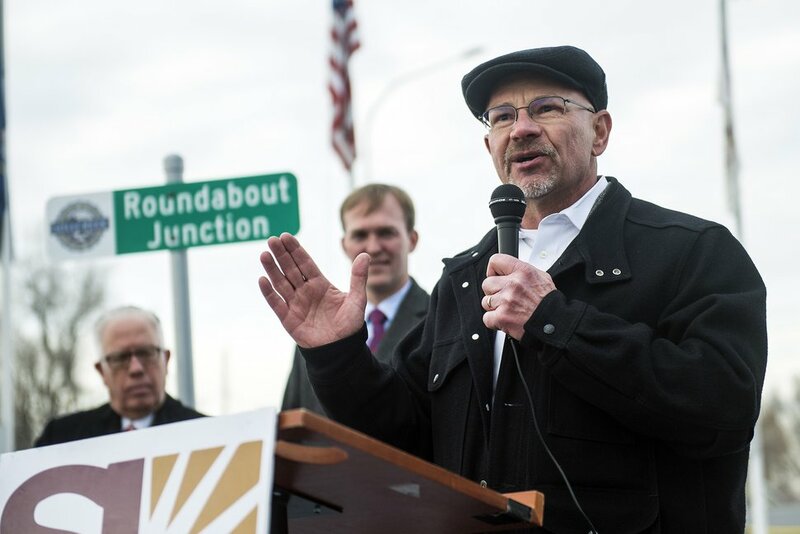 "I have a list of 151 things that needed to be done," quipped Silvestrini, a Salt Lake City attorney who helped lead the incorporation effort as a member of the Mount Olympus Community Council. "Most of those have been taken care of, the important ones to get us going. "But we're still faced with chicken-and-egg problems," he added. "You want to do something, but you can't do it until you do something else. I've been frustrated by some of that, particularly in respect to figuring out how his municipal services district is supposed to work. We're still inventing that." To help the city maneuver the legal intricacies of incorporation, the council has hired attorney John Brems and budgeted $150,000 for legal services through June 30. A 25-year veteran in local government law, Brems helped Taylorsville with its incorporation in 1996, also provided legal aid to Holladay and Cottonwood Heights, and currently serves as Herriman's city attorney. Heeding his advice, the council has put in place a procurement policy to oversee spending and procedures for hiring people for key positions such as city manager, financial administrator and city engineer. A planning commission has been set up and the county's planning and zoning ordinances, while outdated and certain to face revisions, have been adopted. To communicate with the public, an interim city website has been launched — www.millcreekut.org — and the temporary City Hall in the Mount Olympus Improvement District offices is being wired for telephone service by Digital First, which agreed to delay its payment expectations until the city starts receiving revenue later this spring. Millcreek has a $4 million budget for the first six months. More than half ($2.25 million) is projected to come from sales taxes. Another big lump sum (almost $1.2 million) involves Class C road funds that will be passed on to the county to complete ongoing projects. But some revenues also will be coming from sources such as business license fees, and the new city officials worked hard to ensure that forms were in place so that companies renewing their licenses in January were applying to Millcreek City rather than the county. "It's important for us to put our Millcreek brand on it and own it," Silvestrini said, adding that the council also will take a close look right away at its manufacturing, mixed use and foothills zones. "We don't want to delay building and economic development in Millcreek unduly." He secured $100,000 from the county to help with startup costs, justified by the city's continued participation in the municipal services district, and is hoping to get $1.5 million before all ties are severed. Cottonwood Heights received more help from the county when it incorporated in 2005, Silvestrini noted. That funding will cover the $30,000 cost of a feasibility study that Millcreek must do to leave the municipal services district. The firm Lewis Young, which previously analyzed Millcreek's incorporation potential before the measure failed in 2012, is expected to produce a report in April that will help the council decide whether to stay or leave. "The study will compare the costs over a five-year period, assuming the same levels of services we're receiving now," Silvestrini noted. Until that information is in place and the city decides where it's going, "we can't hire a city manager — or do some other things we might want to do — because we don't know what responsibilities that person will have and can't write a job description." But these are all solvable issues, the mayor said. "They will fall into place," Silvestrini said. "What I've tried to think about starting is something long lasting and permanent. A lot of these things don't all have to be done today. They can unfold in their own time and we don't need to rush them. We can take time to get it right instead of rushing into things and making mistakes."